Finally, my past two articles have been looking at some practical areas – why this all matters and what ‘general’ fruit we should already expect from those gifted in these areas. But, let’s be honest, the question really is this: Does Christ actually still gift people in all five of these ministries today, especially as apostles, and even prophets? In answering this question, we need to look at some specific Scriptures, as well as handle some of the objections that could arise. In doing so, I’ll start with the ministry of apostle. The problem with stating that one believes apostles still exist today is that there is so much baggage that comes to the forefront of people’s minds with such an assertion. I mean, if we really believe apostles (and prophets) exist today, we have a lot of questions to deal with, not to mention a lot of unhelpful and unbiblical practices from those claiming to be apostles and prophets today. Could this ever look like what God intended, you know, looking like the great apostle and prophet – Jesus? Still, here is a principle we must remember with regards to misconceptions, misuses and abuses of good and godly things: Misunderstandings, misuses and abuses should not lead to no use. Rather it should lead to healthy and biblical use. Apostles in New Testament Scripture. Objections to the existence of apostles today. What an apostle actually is. Together, this group had a very special and unique role in the beginning with the church. We might even say they had a role unlike any other, even unlike Paul. 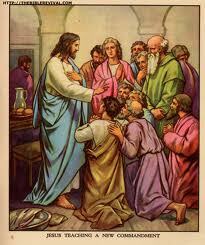 These twelve physically walked and talked with the Lord Jesus. They were known as ‘the twelve apostles of the Lamb’ (Revelation 21:4). Whereas the old covenant was established on the twelve tribes of Israel, the new covenant would be established under the leadership of the twelve apostles of the Lamb. Hence, their unique and foundational role. Of course there is more to discuss with regards to their role (and the other New Testament apostles we shall mention). But, suffice it to say, we can start by all agreeing that these twelve were very important and foundational as apostles. Some might not actually realise this, but Paul was not a part of the original twelve. Ok, anyone who reads this article knows this, but it is interesting to consider this. At times, we can speak of ‘the twelve’ as if they were the only apostles. But they weren’t, right? I am aware that, at varying times, some have tried to teach that Paul was actually God’s better choice to replace Judas Iscariot, rather than Matthias. This is because, in Acts 1:26, we read that the eleven had cast lots for help in making the decision for replacing Judas. Therefore, some would point to this act as very unspiritual and that Paul would have been the proper replacement if only they had waited for the outpouring of the Spirit at Pentecost. But such is a very weak case. From a Jewish perspective, casting lots was not without warrant, as the they believed God was in control of the lots (see Proverbs 16:33). Plus, the prayer of the eleven found in Acts 1:24-25 shows quite clearly who they were seeking and trusting in. This verse is used as a proof-text that Paul, though an apostle, had not been in a place to be included with the twelve since he was ‘one abnormally (or untimely) born’. Thus, again, if the twelve had only waited, and not cast lots for the decision, it would have been made clearer to them that Paul was to be the twelfth and final apostle. But such a claim is only conjecture without much substance. Matthias was the God-chosen replacement, as we see in the Scripture passages above. He was the one to complete the all-important team of the twelve apostles of the Lamb. Even more, such a theory that Paul was the better choice to complete that first circle of twelve is shown as forced when we realise there were actually more apostles than the twelve and Paul. So, let’s move on. Barnabas and Paul made a formidable apostolic team for quite a while. Oddly enough, it seems Barnabas was functioning in some kind of apostolic role even before Paul. We read about this in Acts 11:19-26. Here we also see that Barnabas probably had an active role in seeing Paul grow and mature. And one can only wonder if Paul learned how to more faithfully function as an apostle through the teaching and encouragement from Barnabas. With regards to Paul’s calling as an apostle, many might hold that when he saw Jesus on the Damascus road (Acts 9:1-9), this was not only his conversion, but also his apostolic commission. Now, there is no doubt that the substance of his calling could have somehow been made known at that time, and especially when Ananias showed up to lay hands on him for the regaining of his sight and being filled with the Spirit (read the Lord’s words to Ananias in Acts 9:15-16). But it’s also interesting to read the words of Acts 13:4 – So, being sent out by the Holy Spirit, they went down to Seleucia, and from there they sailed to Cyprus. That’s it! They were sent out by the Spirit of God. And, of course, that’s what it means to be apostolic. As I stated quite a few times early on in this series, the word literally means, ‘sent one’. Of course, not every missionary or ‘sent one’ is an apostle. But that is part of the core of what it means to function in the ministry of apostle. Hence, the Spirit sent out Paul and Barnabas as an apostolic team. An apostle is aware of his apostolic commissioning, or why they were sent out. And it seems that, in Galatians 2:9-10, we see James, Peter (Cephas) and John confirming Paul’s and Barnabas’ calling. Therefore, Barnabas had an instrumental apostolic gifting and ministry, and maybe even before Paul ever really functioned in his apostolic role amongst the early church. It is also possible that 1 Corinthians 15:7 is a statement about the apostolic calling of James, but it matters little knowing the statement in Galatians 1:19. Along with Peter and John, we see that James had a major role in the first local church in Jerusalem (Galatians 2:9). This is also shown through his role in the Jerusalem council of Acts 15:13-21. Now, for students of the Scripture, it will not have been hard to remember and recognise the apostolic ministries of people like Barnabas and James, even though they were outside of ‘the twelve and Paul’. Of course, some might say, ‘Well, yes, James wrote Scripture. Thus, he was an apostle.’ But what about Barnabas? We are not sure he wrote anything in Scripture. He could have possibly written the letter to the Hebrews. But we are not certain. And this is where I believe we can start to get off course with regards to what an apostle is and what it means to function in an apostolic ministry. There were not just twelve apostles. Nor were they first and foremost called to record Scripture. Of course, some of the twelve did, and some others outside the twelve did write what we now have in the God-breathed canon of Scripture. I do not negate the importance of such an act. But this is not really the essence of what it means to be an apostle, to be apostolic. Remember, an apostle is first and foremost a gifting and serving ministry (since serving and ministry are synonymous in the Greek). Apostle is not some title. Thus, we can get side-tracked with simply equating apostle as a Scripture-writer. But I jump ahead just a little. And for those who want to solely focus on twelve, we must not forget that Paul was not part of the original twelve. Not only that, but we must recall to mind James and Barnabas. All of a sudden, we rather easily see the existence of fifteen apostles instead of twelve. And yes, all fifteen of these would have been apostles, since the fruit of their lives showed apostolic gifting and ministry. I also believe there were at least another seven to nine people that we see functioning in apostolic ministries within the New Testament text. The game is not ‘get as many apostles as you can’. This is a ministry gift we must take seriously. But, it’s interesting that when we really start honestly looking at the Scripture, we see more than just the twelve and Paul. And there are even more than the twelve, Paul, Barnabas and James. So I’ll pick up those others in the next article as I continue to look at apostles in the New Testament. Praise God! I am so glad to see that someone has the guts to tell the truth about these ministry gifts! The Church has to mature and grow and become all that the Holy Spirit promised!